Omnitrol's unique IoT Platform is also available on small-footprint, milspec-compliant, solid-state industrial appliances (OMNITROL-A). IoT micro-services can be delivered on a scalable distributed network of OMNITROL-A appliances to support real-time analytics and mission-critical M2M automation. Customers can scale cloud-based deployments without compromising real-time processing and analytics required on the operations floor. These all-in-one, OMNITROL-A IoT appliances deliver a new powerful edge computing paradigm for delivering Smart Infrastructures™ in the network. IoT distributed applicatons can scale faster by integrating IoT devices, enterprise applications and dashboards specific to a given site, without impacting other sites. 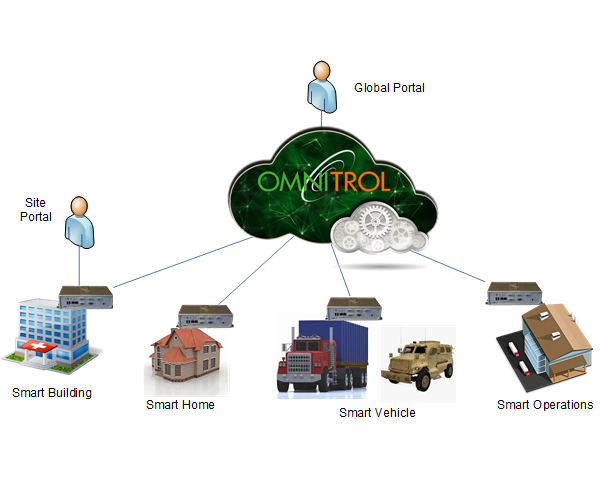 The OMNITROL-A IoT Appliance provides a single point, vendor agnostic, device control and management for all IoT devices deployed at the site. 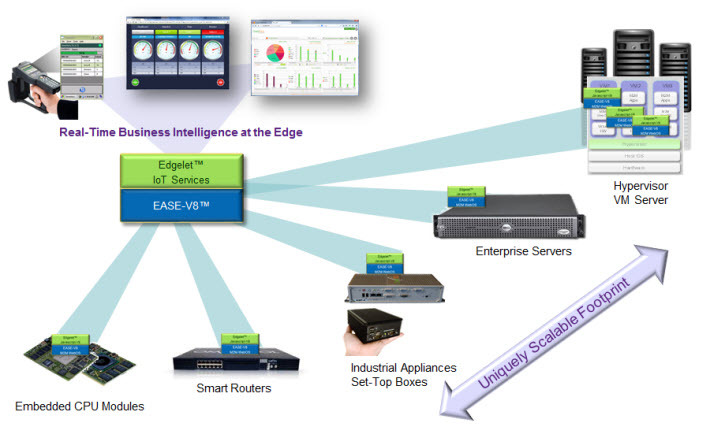 Our unique OMNITROL-A IoT appliances provides our customers with a powerful, flexible and incrementally scalable architecture for multi-site operational intelligence. Centralized or cloud-based big-data analytics can be performed while real-time processing is performed at the edge (i.e. on the operations floor). TaaSTM can be scaled incrementally to deliver Global Track and Trace solutions to monitor assets across global supply chains using maintenance-free OMNITROL-A IoT appliances.